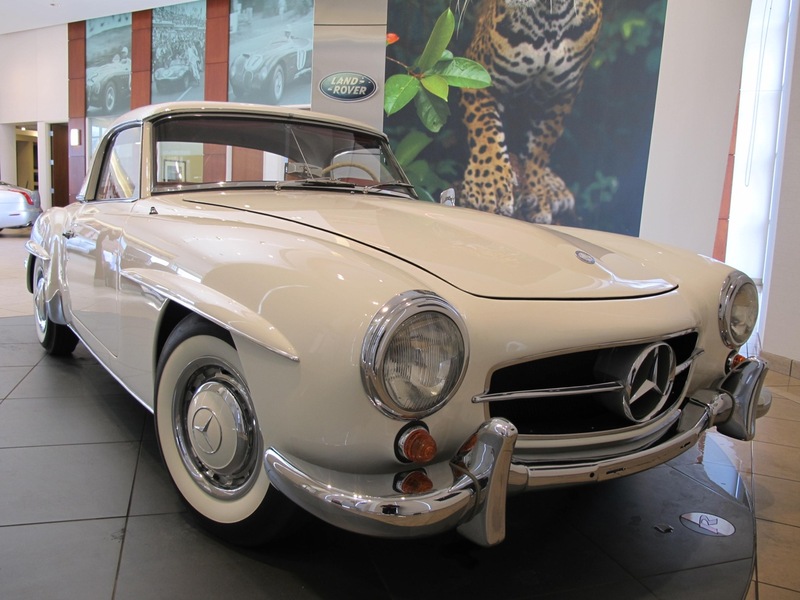 The Mercedes Benz 190SL was developed as a result of Mercedes wanting to gain sales from the fabulous, though very complicated, 300SL “Gullwing”. 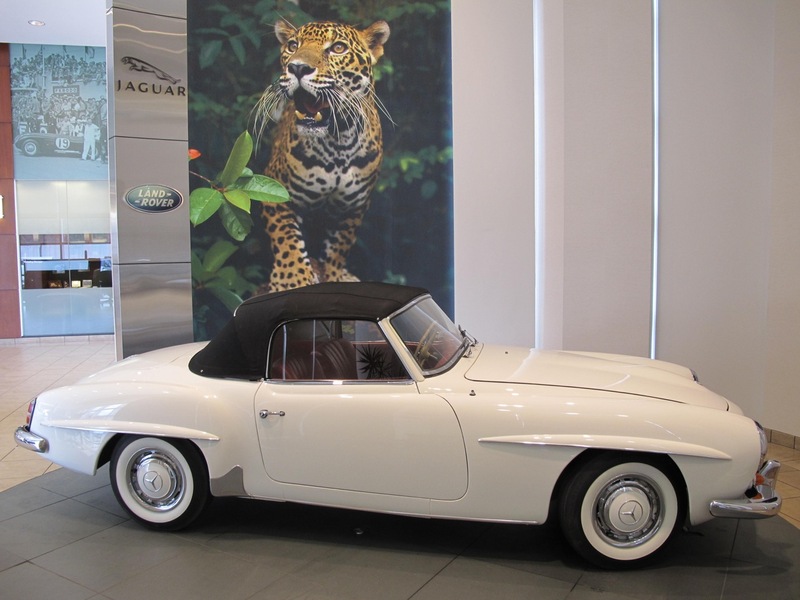 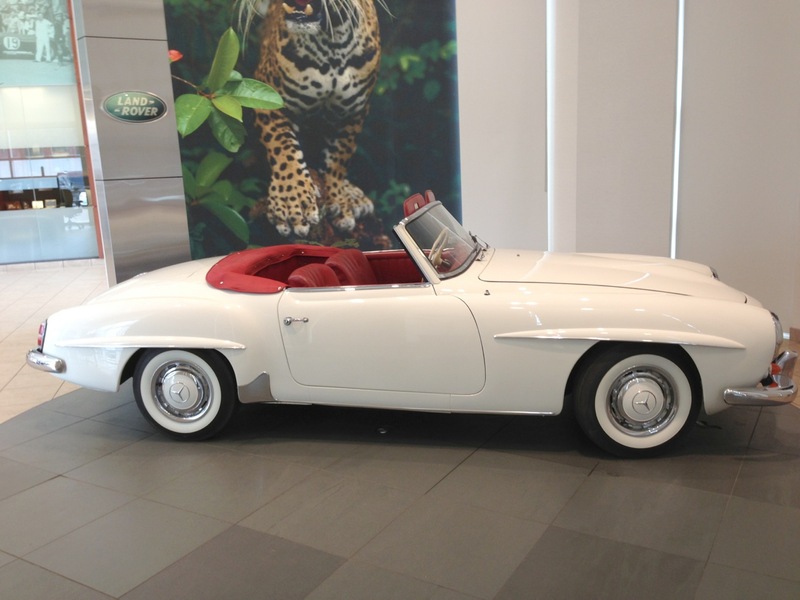 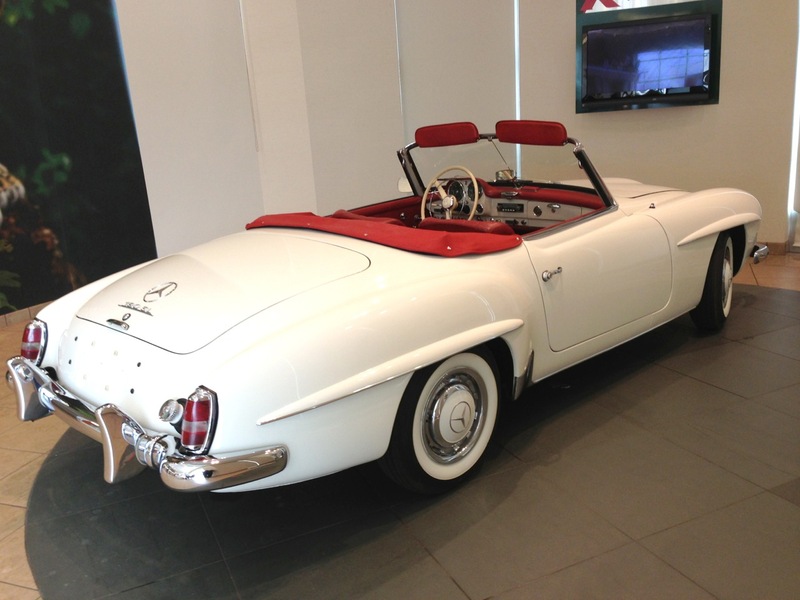 The car was designed from the outset as a two door, two seater convertible (with optional removable hardtop), but one which was clearly related to the 300SL. 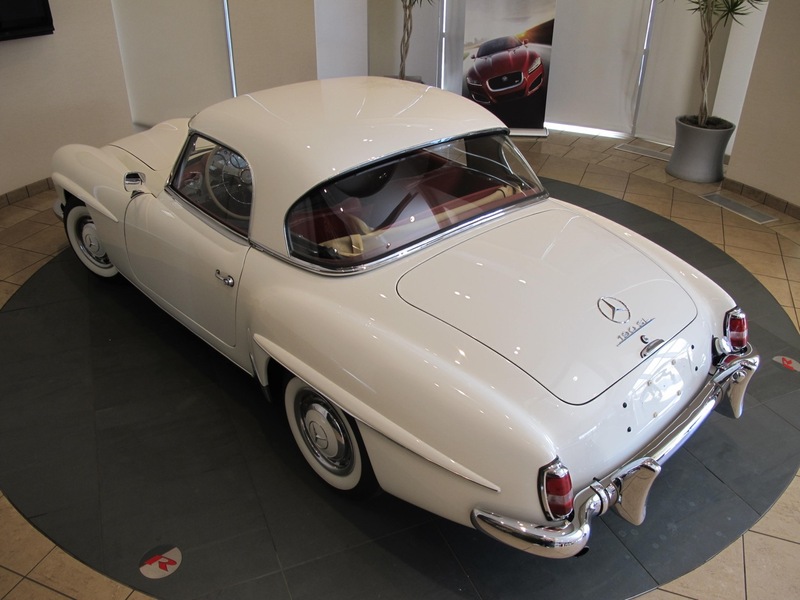 The 190SL was powered by a 4 cylinder, single overhead cam engine that developed some 105hp and was fitted with twin choke Solex carburetors. 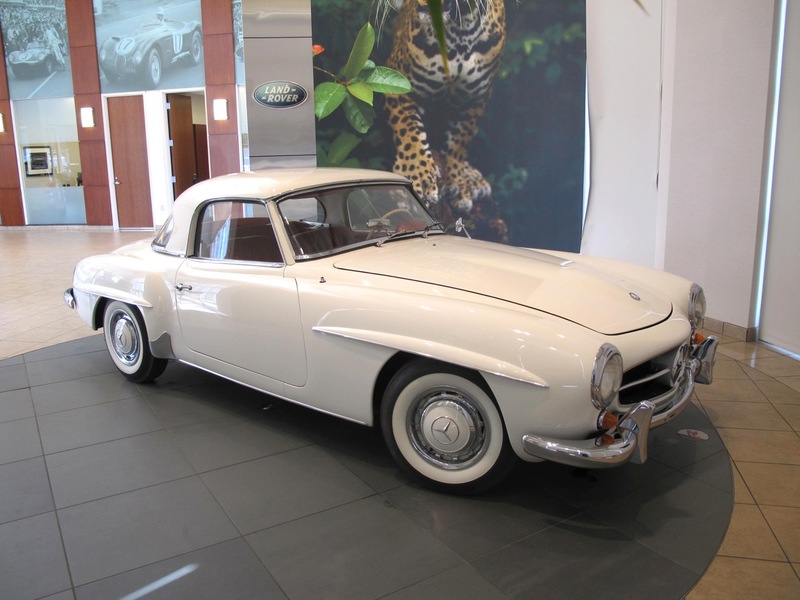 This choice of power-plant gave the 190SL exactly what Mercedes wanted – a car that looked fantastic yet was not overtly complicated that it required weekly trips to the dealer. 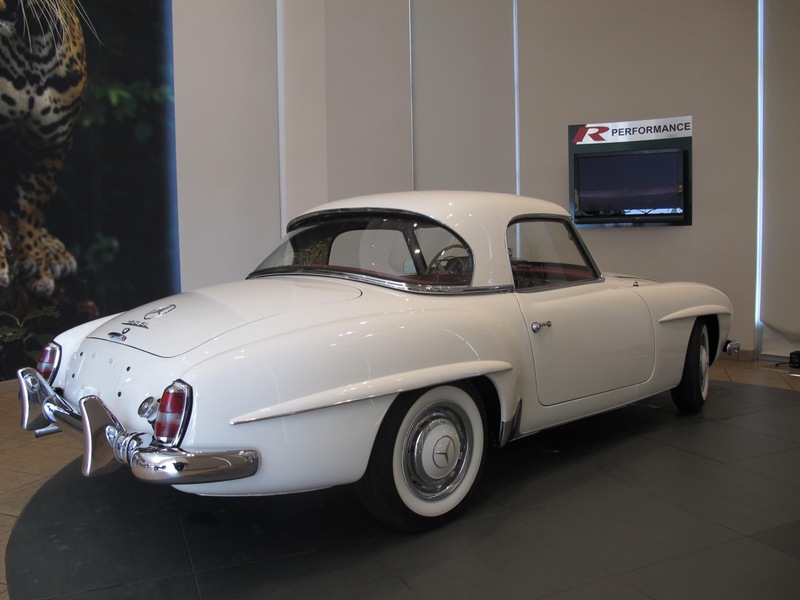 Mercedes chose to replace both the 190SL and 300SL with the W113 230SL in 1963, however, it is interesting to note that Mercedes returned to the idea of a 4 cylinder sports car with the introduction of the SLK during the 1990s.